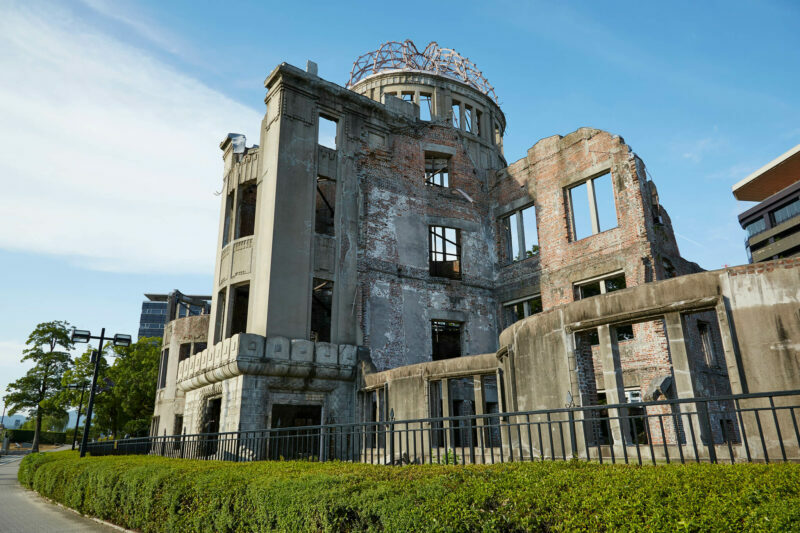 Japan is the only country that has been attacked by nuclear weapons in war, with atomic bombings of Hiroshima and Nagasaki in World War II. Learning from history, the Japanese government is determined to achieve peace and stability in modern Japanese society. Japan was the first country to be attacked by nuclear weapons. In 1945, during the final stage of World War II, two atomic bombs were dropped over Hiroshima and Nagasaki. The attack devastated the cities, killing tens of thousands of people—some died from the explosion, and others from the effects of burns and radiation. The bombs continued to take away lives months, even years, after the attack and caused permanent unrepairable damage. 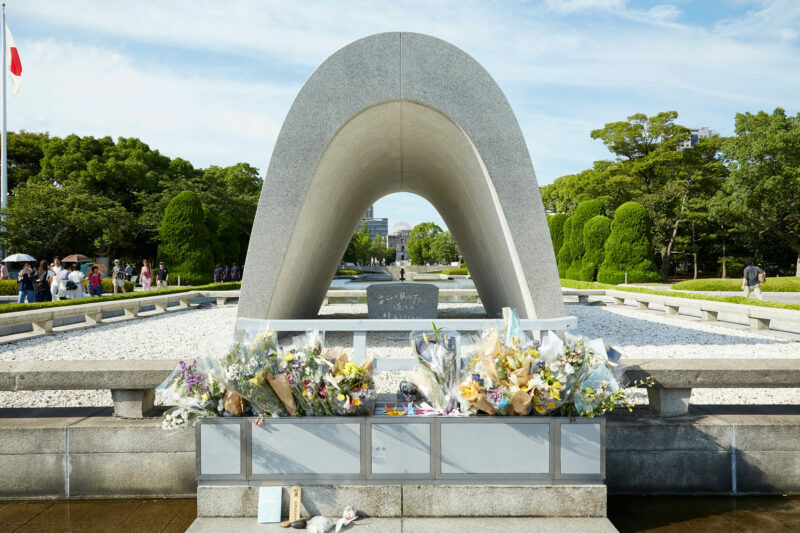 The history of the two bombings still remain one of the most painful memories for the Japanese people. Never forgetting this history, Japan is dedicated to eliminating nuclear weapons in order to ensure no one will ever have to experience the same horror in the future. Understand the devastating effects wars can bring by reading documents and observing artifacts from past wars. Toward the end of World War II, The US military dropped an atomic bomb over the city of Hiroshima. This was the first time a nuclear weapon was used in armed conflict. The bomb caused more than 100,000 casualties and severe destruction to the city, and the radiation from the nuclear explosion caused immeasurable impact to the environment and people’s health. 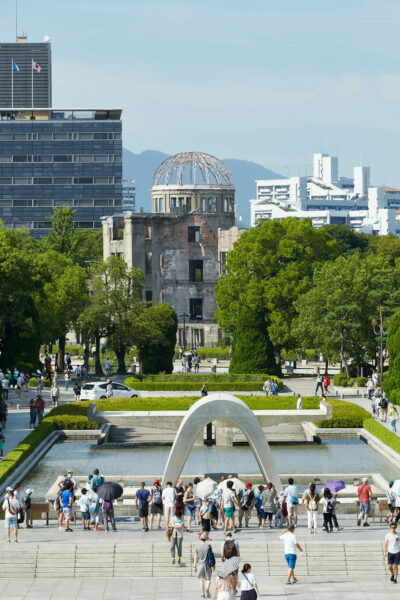 In Hiroshima, Students will have to opportunity to listen to the testimony of a survivor of the atomic bombing. The survivor testimonies are also available in English. 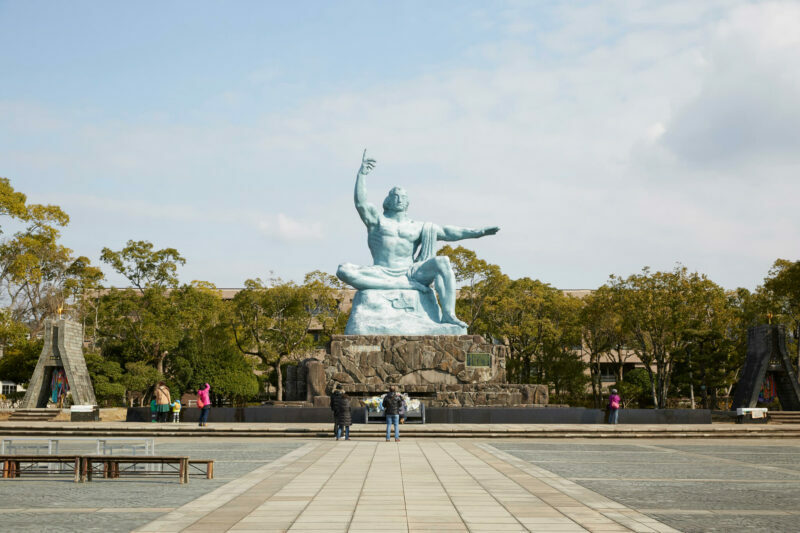 The Hiroshima Peace Memorial Museum aims to help students understand the devastation wars can bring and the serious consequences of nuclear weapons. Toward the end of World War II, the US military dropped an atomic bomb over Nagasaki. The bomb took away many lives and brought massive destruction to the city. Students can see the devastation wars will bring to the people and understand the importance of peace and stability. At Nagasaki Atomic Bomb Museum, before and after photos of the city of Nagasaki illustrates the terror of nuclear weapons and the destruction and pain wars will bring to the people. The Battle of Okinawa was one of the most horrifying battles in the Pacific War. More than 200,000 people died and many cultural sites were destroyed. The Okinawa Prefectural Peace Memorial Museum was built to commemorate the people who passed away in the war and to urge people to learn from past mistakes and strive for a peaceful future. Get a glimpse of the horrors of the Battle of Okinawa through the eyes of local residents by observing items used during the war and replicas of caves used as shelters during the conflict.